Goal$ and Assets: Family Conversations About Money is a six-session series that engages parents and their children in a group setting that focuses on family well-being. Each session addresses financial education within a healthy, nurturing environment where parents and children learn together. Families gain self-identified goals and strengths and are put of a path toward financial literacy. Use the Aug10Sale promotional code for 10% off this product throughout August. Recently, 13 families participated in the series and learned how to manage finances and talk to their children about money. St. Louis City Treasurer Tishaura Jones joined Parents as Teachers National Center staff and credit union representatives during the discussions. 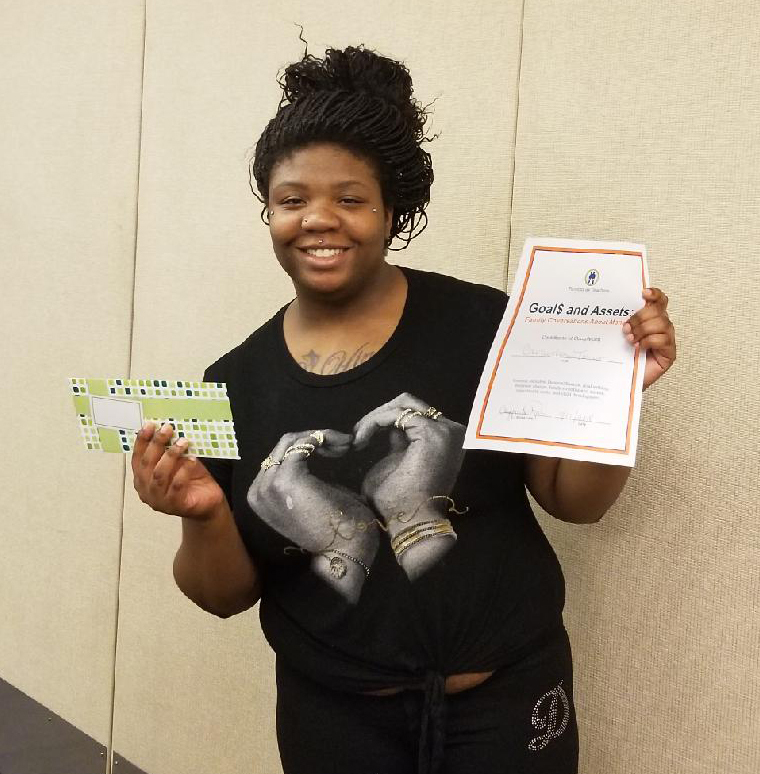 Participants received certificates of completing, gift cards for bank deposits, and a day in the swimming pool at The Heights Recreation Center.